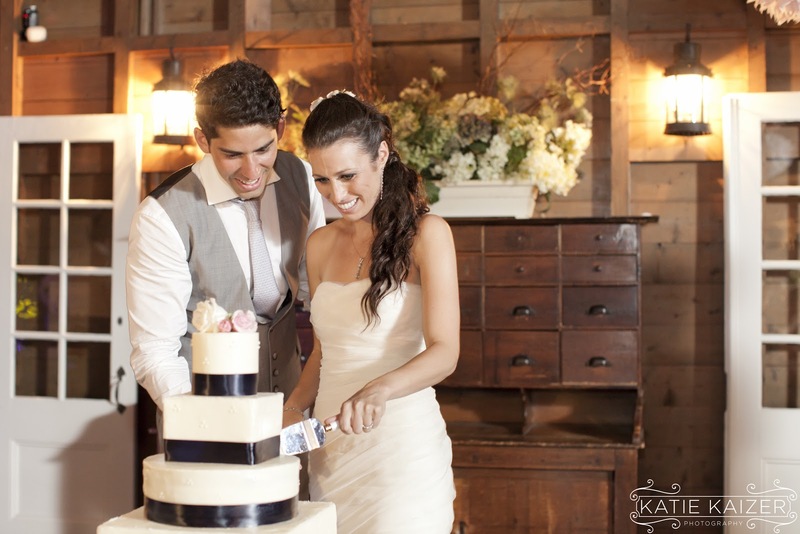 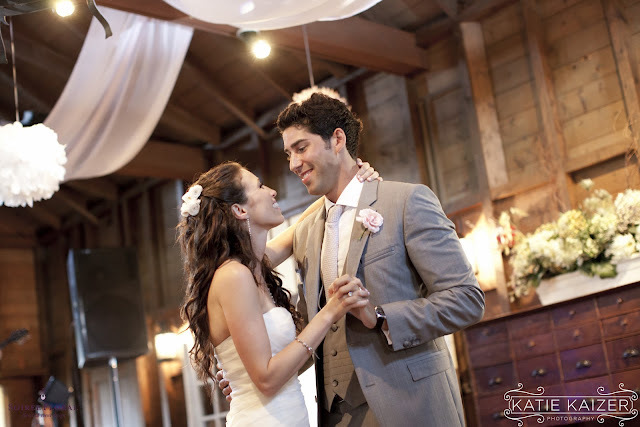 Our fabulous couple Sarah and Jordan are being featured on Style Me Pretty today. 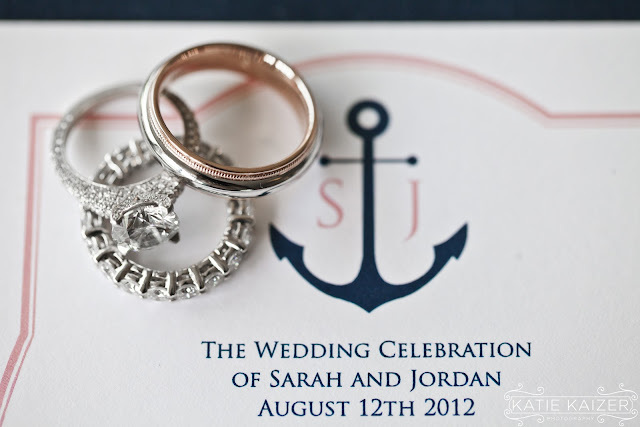 We Met Sarah last summer and knew we were going to have a good time planning the details for her big day. 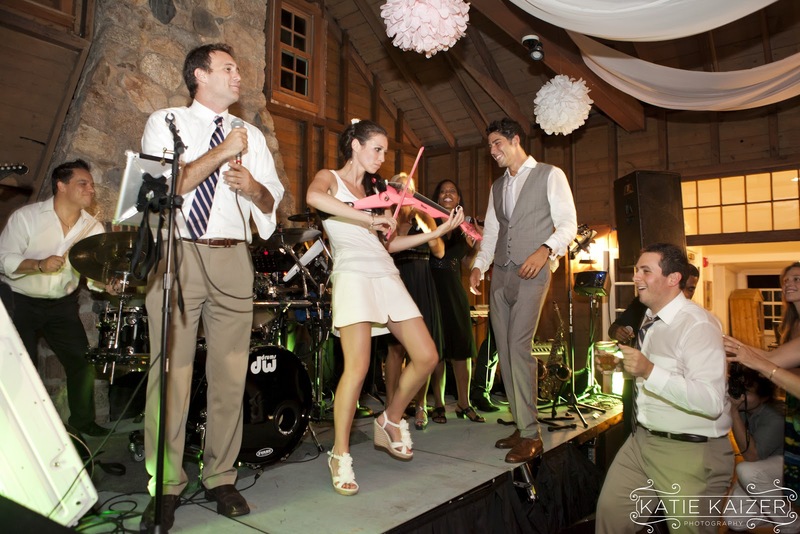 Sarah is a professional violinist, and her violin is is not what you would picture it to be. It's bright pink, and it has a modern shape. 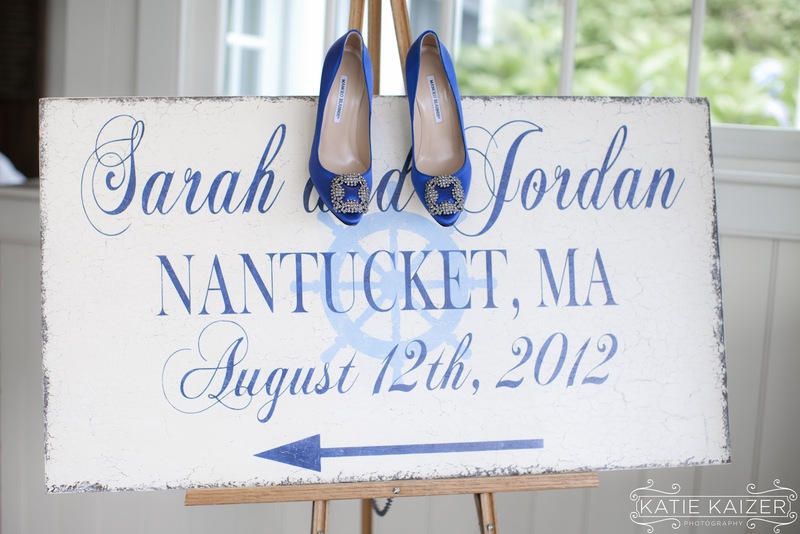 That became our focal point for the wedding. 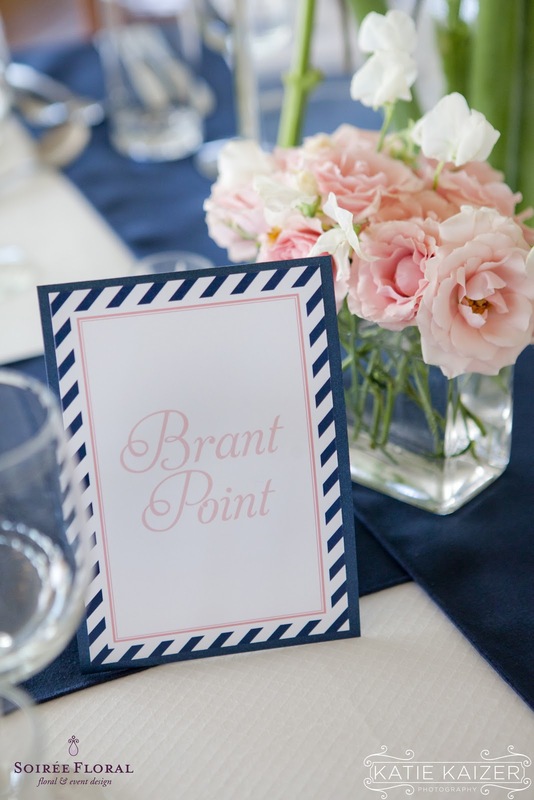 With shades of white, blush and pink anchored in navy, she had just the right balance of sophistication with a hint of nautical preppy. 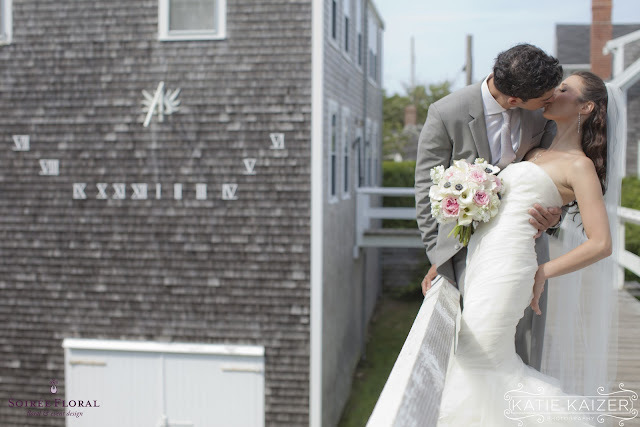 We started out with a rainy, foggy day and by the time Sarah walked down the aisle the sun came out and she had a picture perfect sunset. 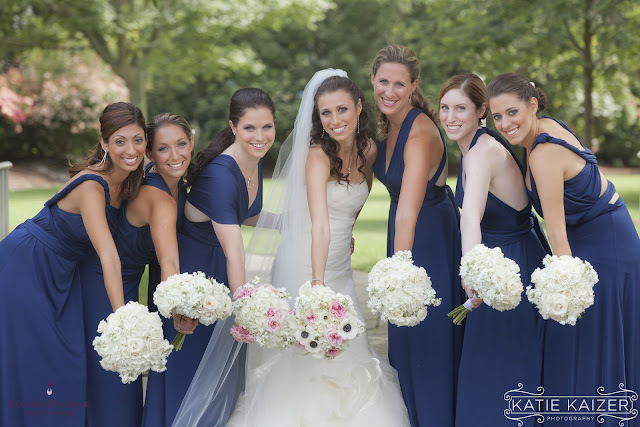 Her bouquet was one of our favorites this season (I think we say that every week!). 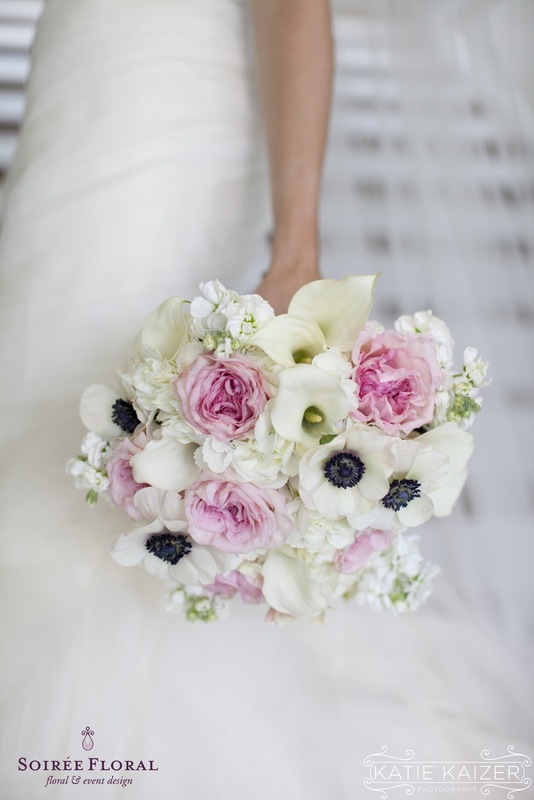 A mix of callas, anemones, garden roses and ranunculas were a perfect pairing to her dress. 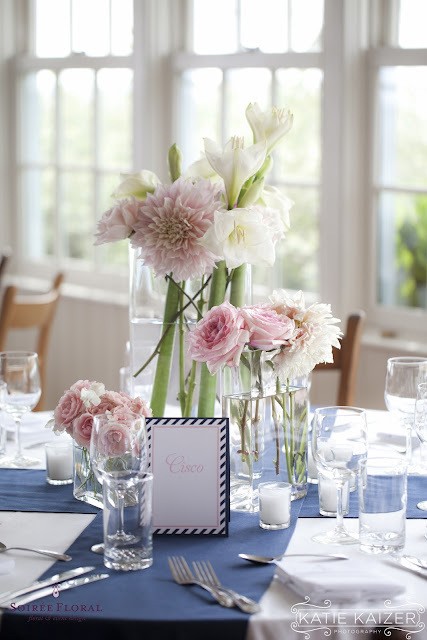 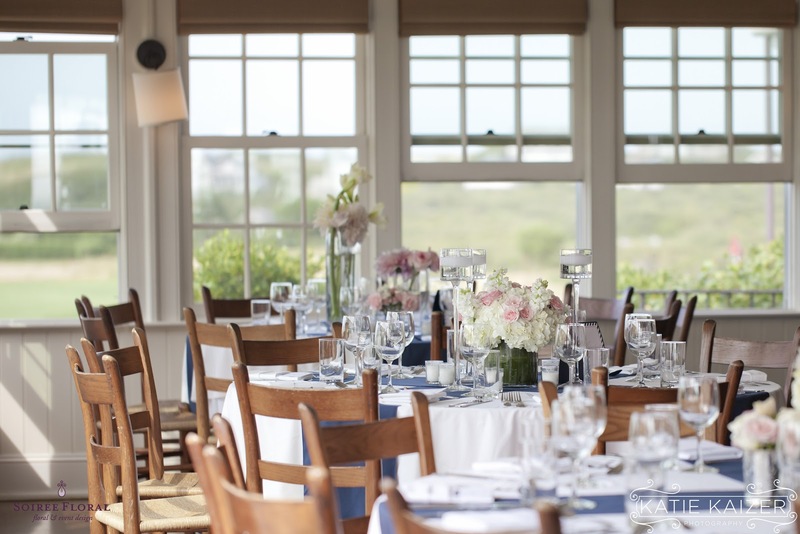 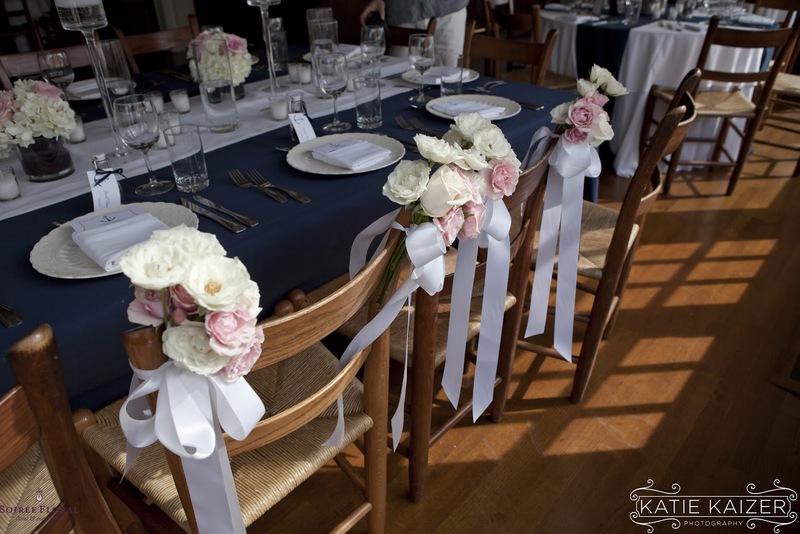 The tables were dressed in navy linens and a clean, modern floral arrangements graced the tables. 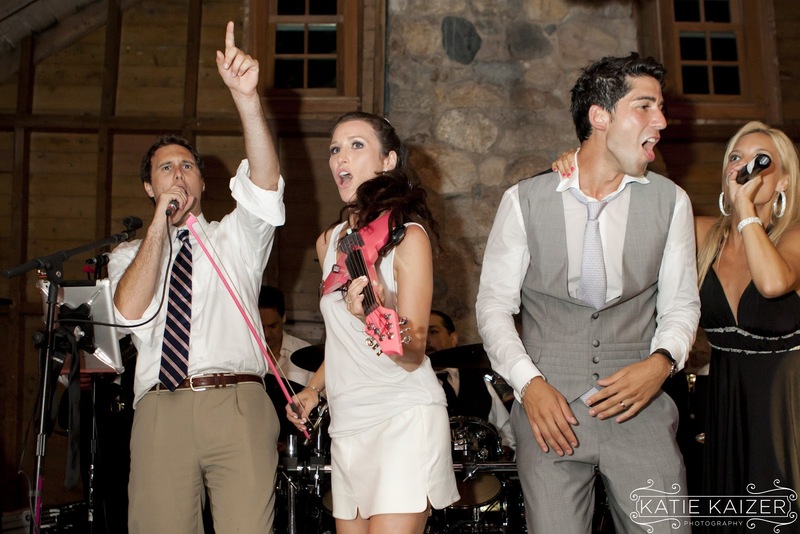 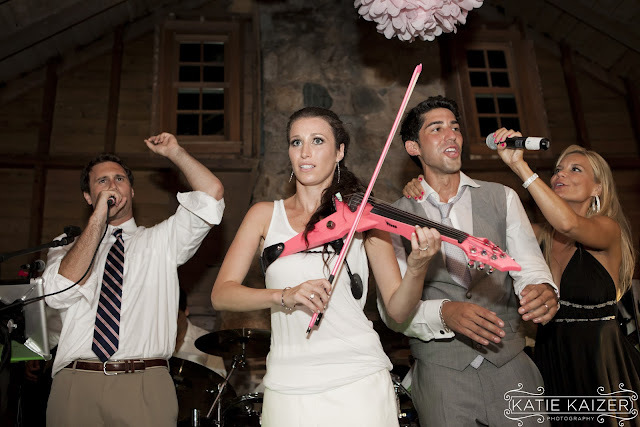 Sarah even decided to get up on stage and play her violin with the band. Her guests loved every minute of it!